In the last week or so the New Era Cap flagship stores here in the UK welcomed yet another exclusive piece for all head wear enthusiasts to add to their collections. Only 144 piece’s available in each cap, so exclusive and very limited. This drop landed in the past couple of weeks to celebrate the NBA match up between LA Lakers and Minnesota Timberwolves, part of the NBA European Tour, that took place in London. Both caps feature some pretty bright colour ways so understandably these might not be for everybody. 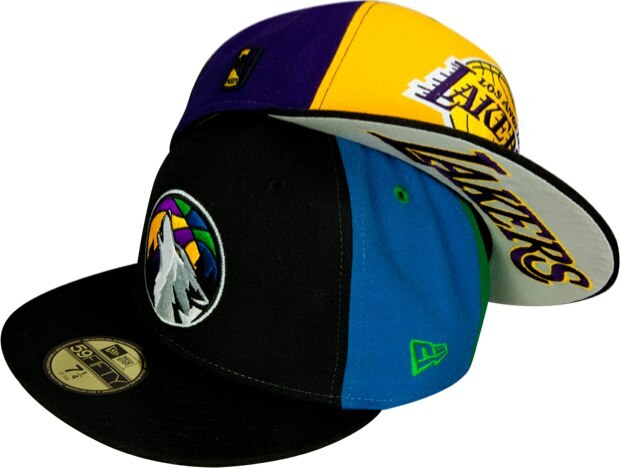 Each cap follows the colour ways of each team and both featuring equally very impressive raised stitch embroidery. The only difference here is that the LA Lakers cap is a snap back and features Lakers font on the under side of the visor. 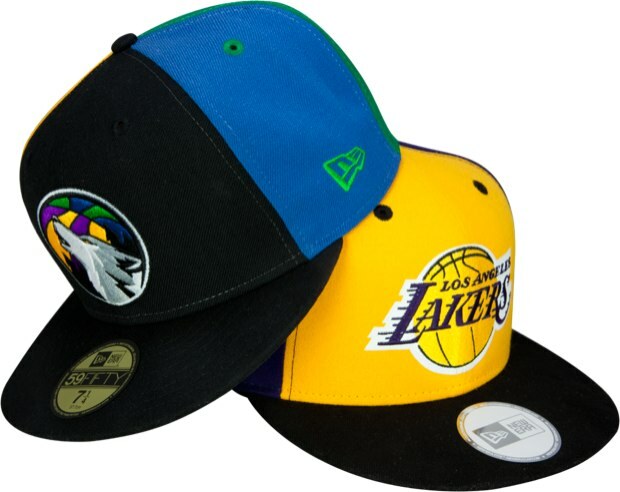 These are for the collectors of New Era in my opinion, a cap for the basket ball heads and caps fans a like. Available right now from both UK New Era Flagship stores, Birmingham and London. I’m proud of these, notice the bit of print on the snap back as well as flat embroidery, for that extra retro flava. And with the Timberwolves piece, the black on black NBA logo look silly fresh in real life. Thanks for the shout out bum heads, CHRISTOPHER DAVID ADAMS JR should definitely be a tag box as well.